For hundreds of years, False Bay fisherman have used the close proximity of the mountains as an excellent vantage point for spotting shoals of fish. They then used a flag system to direct their crew in the rowing boat to the proximity of their catch. 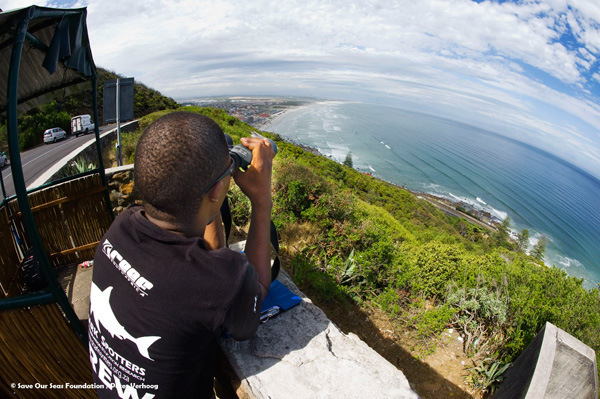 In 2004, the Shark Spotters organization was formed, using these same mountains to spot the local white sharks and then alert surfers and recreational ocean users, when the sharks venture too close to the bathing/surfing areas. The sound of the shark alarm (somewhat reminiscent of a WW2 bomb raid siren) can terrify you the first time you hear it. Yet, in the summer months, when the shark activity increases, the siren is an almost daily occurrence. Green Flag: The visibility is excellent and no sharks have been spotted. Black Flag: The spotters are watching but the visibility is poor. Red Flag: High alert. 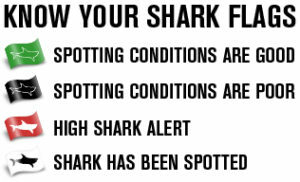 Either a shark was spotted earlier in the day or there is a high chance of one being spotted – i.e. lots of fish in the bay. White Flag: Shark is present / Beach closed. So what happens when there is a shark? 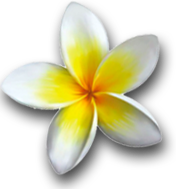 When a shark is spotted heading in the direction of the bathing/surfing area, the spotters on the mountain can trigger the siren on the beach and use walky-talkies to inform their beach based crew of the sharks whereabouts. Once the spotters trigger the siren, everyone needs to leave the water – and the spotters raise their white flag and ‘close the beach’. Sharks prefer deeper waters, so the moment the shark heads back out to sea, the bathers and surfers are allowed to return to the ocean. By now, locals are so used to the shark alarm, they don’t even bother taking off their wetsuits when the beach is closed. More often than not, the shark doesn’t hang around and the beach is opened within 10-15 minutes. It’s common sight to see a row of surfers standing at the waters edge waiting for the red flag to be raised so they can race back into the ocean. Interesting enough, the number of sightings of white sharks in False Bay has not discouraged recreational ocean use, but rather highlighted the fact that hundreds of oceans users are venturing into a known white shark territory on a daily basis with (to date – and touch wood) zero fatal incidents! If only fraction of the False Bay shark population were interested in feeding on humans, shark attacks would take place on a very regular basis. This said, it’s definitely adds to one’s peace of mind and ultimately the enjoyment your ocean experience, knowing that the Sharks Spotters are keeping a watchful eye over us. 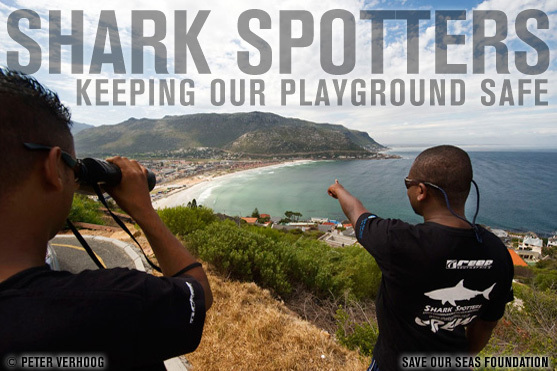 Learn 2 Surf would like to extend a huge thank you to the Shark Spotters for the work they do to assist in making our playground a safer place. 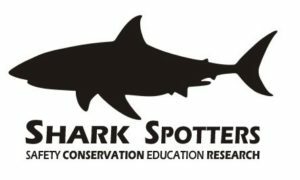 To support the Shark Spotters, please click here to make a donation.